Apparel Learning Desk: Bangladesh is one of the leadingtextile manufacturingcountries in the world. To attract the target customer textile manufacturing industries are taking a lot of marketing strategies. Nowadays with the change of technological environment digital marketing takes place a very important role in the whole world. So digital marketing is important in the growth oftextile industries in Bangladesh. First, some basic discussion about digital marketing. Digital marketing is an umbrella term for all of your online marketing efforts. Businesses leverage digital channels such as Google search, social media, email, and their websites to connect with their current and prospective customers. There are some common tactics of Digital marketing. All of this tactics are used in B2B (Business to Business) and B2C (Business to Customer). But most of Bangladesh Textile industries business is B2B. So for B2B all of those tactics are not applicable. Now we discuss which tactics are applicable and how those are applied in the marketing strategy of atextile manufacturingcompany. Search Engine Optimization (SEO):The process of optimizing your website to ‘rank’ higher in search engine results pages, therefore increasing the amount of organic (or free) traffic that your website receives. By using these tactics, Textile manufacturing companies make an SEO friendly website which ranked them higher in the search engine and they are easily available to the respective client (buyer, Other Manufacturer etc). Well optimize website not only give rank but also create a good impression to the customer. Content Marketing:The creation and promotion of content assets for the purpose of generating brand awareness, traffic growth, lead generation, or customers. By using these tactics companies create some business-related content and publish them in textile related international anddomestic blogor forum. This creates a good impression and also generate some lead for business. Social Media Marketing:The practice of promoting your brand and your content on social media channels to increase brand awareness, drive traffic, and generate leads for your business. Marketing through Facebook, Twitter, LinkedIn, and YouTube is the example of Social Media Marketing. Among the social media, LinkedIn is the most usefull for the textile manufacturing companies as marketing perspective. LinkedIn is a social media of Professionals so a branch of textile manufacturing related professionals easily finds out on LinkedIn. By targeting textile related individual professionals and groups companies are easily generate some profitable lead and impression.Facebook is the mostly used social network site. They contain a big database of people all over the world and all types of professions. So by targeting those textile related professionals companies are generating their lead.By using you tube, Textile related companies publish some video related to their production process, quality control process, ethical standard etc. which create good impression and awareness about the company. This strategy helps to increase sales volume of a company also. Email Marketing:Companies use email marketing as a way of communicating with their audiences. Email is often used to promote content, discounts and events, as well as to direct people towards the business’ website. This is the most important tactics of digital marketing in B2B setting. For textile manufacturing companies of Bangladesh email marketing is the biggest lead generation method. Email is the most used communication tools in the marketing of textile manufacturing industry. By using email companies contact with respective buyer especially with the foreign buyer. But by using traditional email process it is very complicated and time consuming process. There have some rules and regulation in this traditional email transportation. By using email marketing process it is so easy and less time consuming as well as more effective than traditional email communication process. This tactic use only for the domestic market. Companies like machinery marketing, Dye-chemical marketing, fabric marketing, yarn marketing, accessories marketing etc. 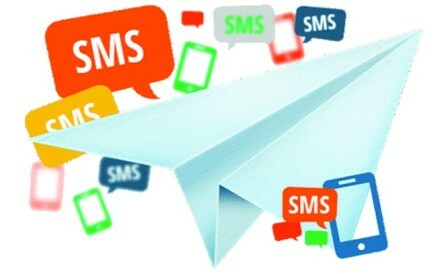 are using SMS marketing tactic to communicate with their customer through SMS and upgrade their sales volume. All in all, in this digital world our textile industries need to apply digital marketing tactics in their marketing strategy. If companies merge traditional marketing and digital marketing in their marketing strategy it will be more effective. By using digital marketing textile manufacturing companies easily find their customer and create a positive impression on customer mind which help them to increase their sales and also maintain a good relationship with customer.